The Speaker Jigme Tshultim, Home Minister Lyonpo Minjur Dorji and 14 plot members were convicted by the Mongar District Court on charges filed by the Anti Corruption Commission in the Gyelpozhing land case. The National assembly speaker, Lyonpo Jigme Tshultim was given a prison term of two and half years by the Mongar district court yesterday after he was found guilty of illegally allotting plots to 23 individuals (see list on Pg 11) during his term as the Mongar Dzongda and Chairman of the Plot Allotment Committee of Gyelpozhing in 2001 and 2002. Besides imprisonment, the verdict read the plot allotted to his maid Nima Zangmo must be given back to the government. The Speaker has been booked for official misconduct, fraud, forgery, and deceptive practices. 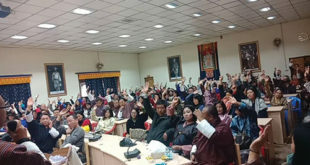 Along with the Speaker, the Mongar court also sentenced the Home Minister Minjur Dorji to a year in prison for the offence of official misconduct in allotting plots to Kharchu Dratsang, Dremitse Dratsang and to Kuenzang Dema, the wife of a Kurichhu project engineer during his tenure as the Mongar Dzongda in 2005 and 2006 and also as the Chairman of the Plot Allotment Committee. The court ordered that these plots must be returned back to the government. The Home Minister, Minjur Dorji was charged for the offence of official misconduct. 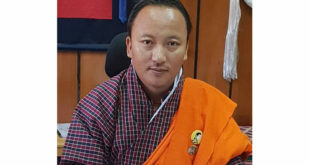 The court ruled that the Speaker and the Home Minister had failed to abide by the fourth Druk Gyalpo’s Kasho issued back in 1987 and the allotment criteria set by the Works and Human Settlement Ministry. Both of them can pay Thrimthue in lieu of prison term since it is a compoundable offence. Whether both the speaker and the minister will appeal to high court or not is not known. Meanwhile, the plot allotment committee Secretary, Dechen Singye, was also awarded one year imprisonment. He was found guilty of allotting a plot in the name of his sister during the Gyalpoizhing land allotment; the incident took place when the Speaker was the chairman of the committee. Appealing to the Drangpon, Dechen Singye requested if his prison term could be deducted as he is still under suspension from his government job for the past five months but the request was denied. The 14 plot committee members were given a one year sentence for not carrying their duties with diligence. The members can also pay thrimthue in lieu of the prison term. Out of 18 total members, two are studying abroad, and two have been acquitted as the drangpon had given them the benefit of doubt. Though both of them were part of the committee but they had not signed the minutes of the meeting. There were mixed feeling views from the people in the Mongar, while some were happy with the verdict some others expressed disappointment over the verdict. A total of 95 cases were registered with the Mongar district court, of which 16 cases have been completed, two were withdrawn as ACC could not get any evidence against them and two were out of station. The Drangpon confirmed that for the 75 pending civil cases, which are illegally allotted plots in Gyelpozhing; separate hearings will be conducted from April. The convicted have 10 days to appeal to the High Court. 1.Chencho Tshering who was not eligible and not present but was given a plot of 5,061.50 sq ft instead of a 4,648.32sqft standard plot size. 3.Dowa Zangmo, (plot was care of Dr Ngawang Tenzin, Mongar referral hospital DMO then). 5.A plot was allotted to Speakers daughter, Jigme Choden from a commercial area. 6.Then finance minister, Lyonpo Yeshey Zimba, submitted an application 45 days after the lucky draw, requesting for bigger plots across the lake. He got a once acre plot. 7.In 2000, an application was submitted in the name of the Speaker’s maid Nima Zangmo for a plot, for which the Speaker prepared and forged the signature of Nima Zangmo. 8.Nima Zangmo stated she did not apply or know of any plot she owned at Gyalpoizhing, and that she had not authorized anyone to sign on her behalf. She was allotted 8,201.76 sq ft of land. 9.Pema Wangmo, who was represented by her sister-in-law at the draw, had picked up a blank paper, but, the Speaker gave her a plot. 10.Rinzin Dorji, the then RBP captain, Officer in-charge of Mongar, was absent during the lucky draw. 11. Sonam Lhaden had not participated in the lucky draw but was given a residential plot of 8,906.76 sqft. 12. As the then finance secretary, Lyonpo Wangdi Norbu had submitted an application requested for land to be registered in his son Sonam Norbu’s name. He was allotted 10,722.56sqft instead of 4,648.32sqft the standard plot size then in his son’s name. He had not come for the lucky draw. 13.The then RBG Colonel Kado had submitted an application in 1999 in the name of his son Sonam Tobgay. He was allotted a plot size of 10,593.39sqft instead of 4,648.32sqft. He also had not attended the lucky draw. 14. Sonam Yangchen had not come for the lucky draw but was allotted a plot size of 9,060.09sqft. 15.Dasho Tsheten Dorji, submitted an application on behalf of Tshering Pelden had not attended the lucky draw. 16.Then RSCS secretary, former Lyonpo Dr Jigme Singye’s spouse, Sonam Zangmo, applied in the name of their son in 2000. He was allotted 9,027.81sqft instead of 4,648.32sqft. 17. Former High Court judge, Jigme Zangpo, had been allotted a plot size of 5,373.12sqft instead of 4,648.32sqft. 18.Gyaltshen Wangdi, Health Ministry’s then liaison officer in Kolkata, had applied for a plot on the defendant’s instruction. He was not even in the list. 19.Prime Minister Jigmi Y. Thinley applied for a residential plot at Gyalpoizhing in 2002, when he was the then foreign minister. He was allotted 50 decimals of land. 20.Former Lyonpo Leki Dorji, the then communication minister, submitted an application twice for a residential plot in his daughter Sonam Leki Dorji’s name. He got land across the river. 21.The Speaker issued land ownership certificate, with false information to Tshering Zangmo, care of Tshewang Gyelpo, in the home ministry. 22.Sonam Gyeltshen was allotted a plot upon his request for consideration as “kidu”. He had not come for the lucky draw. 23.Supreme Court Chief Justice, Lyonpo Sonam Tobgye applied for a plot in his daughter Pema Choden’s name. It was made to look if she had got the plot through luck draw. Wao what a verdict, If this is the job of our Judicery System one day Bhutan will be Under either India or China. We the people of Bhutan now cant trust and lost our faith with our leaders. After going against Royal Kasho they should be laible for Jail more than Three Years with out Bail. Hope our Galpoi Zimpon might have somthing to say on it other wise it will lay very bad presedence for the democracy and one day bhutan will become like NEPAL. Money power comes in play.See India the Telcom minister went to jail.We talk bad about Indians but they do send their corrupt ministers to jail. Sentence could have been more than 3 years and then it would be non bailable.The verdict was crafted in a manner that the judical saves its face and the government along with ministers too. Sad day for the Judiciary to succumb to politics. what about names of people whom home minister alloted.You mention only the speaker. Lamsang was right. It was a case of ‘land grab’. “Dechen Singye was awarded one year imprisonment” – interesting! If the 13 committee members (excluding Dechen Singye-Secretary) are slapped with imprisonment of a year each, them Home minister should get 100 years and Speaker 250 years. Then only DPT might get few votes forget the seats in 2013. When employee of moe, banks embezzled money, forge, fraud they get harsher sentence, similarly with tobacco smugglers for eg, the first case of monk. In this gyelpozhing drama, the highest authority in democracy including pm, ministers, speakers, chief justice, etc ignored HMs kasho. This is in itself al biggest crime, it should be considered Les Majesty crime. After which all the allotments of lands to vips becomes illegal. We see light sentence in this case, there is no sentence for violating HMs kasho, if this is the case then what is the use of singing sweet songs by this vips in the name of monarchy. Monk was sentence to harsher punishment in tobacco case, bnb, bdfc employees were sentenced to more than 5 years for fraud. Yet here we see lighter bailable punishment. Violating HMs kasho is in itself is a biggest crime we could ever think of. The culprits should be first charged for Les Majesty crime and secondly for illegally allotment of land to vips. The judiciary system is our country is very weak n shakey may be becoz chief justice n pm is involved. Receiver of land too should be charged with forgery. O funny verdict.Those Mingur and Tsheltrim who violated such as kasho from HM was given very negligible punishment and also allowed to pay in lie of jail term where as Dechen Singay who followed the order form High Ups were not allowed to pay in lie of jail term. This verdict is just a eye was for the public.They should have given minimum 5 years jail terms. Also,what about those plots allocated to all?Don’t they need to return back?Why only the Tshltrim’s maid needs to return the plot?Just because she is maid?!!! So sad a country to see….where a person carrying few packs of tobacco for his personal destruction is bestowed with such a harsh punishment (non bailable)….whereas the culprits so much involved & proved to have squeezed country’s economy are given a2 yrs imprisonment (bailable)…so funny and shameful of the Bhutanese judiciary. These are the Bhutanese leaders who got Bhutan Broke in the present scenario. If am wrong anybody can investigate how much property Jigme Tshiltrim (The real too) has……He instead should be hanged at Thimphu Clock tower…..May god save this country from such ##****!!…. As a responsible citizen of Bhutan, I am deeply disappointed to know how lightly Monger court has taken this issue. The 2-and-half-year jail sentence for the main culprit and 1-year sentence for the accomplices is really a funny drama. Does it mean that our future leaders can repeat the same practices and when convicted, pay Nu.36,000 or Nu.90,000 in lieu of the prison term and escape? For them, this amount is nothing having snatched public benefits for years. Having ignored Royal Kasho means they have committed a serious treason and misuse of their power. So, they certainly deserve far more than wat this verdict presents. Sometimes, I feel we should have capital punishment for crimes like this. Our monarchy has been so generous that the capital punishment has been banned on the ground that we r a buddhist nation but I feel it would b better to hang criminals like these and stop eating meat as a Buddhist country. I hope they would appeal to higher courts and the true justice would prevail. This is really not fair. Bravo!2 acc n i also think idiot (government’s jabmi)OAG ll say sth. The Bhutanese, you may also like to disclose the names of the people to whom land has been allotted by Lyonpo Minjure. Seeing the details of the beneficiaries to whom land has been allotted by the Speaker, all the high profiled individuals seem to have been on a land grab crusade. Can’t trust these people, who still serving, any more. Law for everybody is same whether Rich or Poor. Giver as well as Receiver of corruption are both equally same. In gyelposhing land. The giver knew it was illegal and the receiver who were higher in rank then the former definitely knew it was illegal, Still they did. This simply speaks that what has been going around in Bhutan in olden days n what this n old ministers have done. I see every year ministers, secretaries getting awards, medals n now we have come to know that they r very same people who have violated HMs KASHO. In army, the committee n general try to pull their own people for best transfer location n promotion. If we dig the history we find people who are being promoted r some what related to general or committee members or dashos or miniters. Police chief’s atala case is no where to be seen. We dont hear the result of this case. Sometimes now i really wonder was i born in right place, right time, to right person. I now feel that PM, ministers, dasho GIVE NO HAPPINESS to us and we GET NO HAPPINESS which is my GNH definition. When a person with few packets of cigarettes gets 3 years non bailable prison terms, is it fair to let away these people who have committed heinous crime with such little punishment? It is indeed sad to note that people who have committed such a big crime are given a very meager punishment. These people especially Speaker should have been hanged and Home minister given the life imprisonment. system in Bhutan is…..Dasho, have you received any instruction from your boss for the verdict? May God save our country……! oh now i am a confused man and remember confused people can do any thing may. i guess if this continues our country will be like Gadafi regime. Judiciary the protector of the Constitution, the Mother of All Laws Is failing so how can our democracy succeed especially when the institutions like ACC put in place are treated the way they have been by our politicians – the Speaker in his interview on BBS said they were responsible for the appointment of the ACC people and when they get reelected they needed to review the performance of ACC as in his opinion it was dissatisfactory. What a terrible blow to our democracy don’t you think? Haven’t heard anything about returning the land to the Government. Do these people who have grabbed land by unfair means get to keep the land ???? Media should get a detailed report on this. It is an uneasy feeling not knowing after all these if they get to keep the land. We are proud of theBhutanese for making public about the Gyalpozhing land scam. Without the efforts and courage of theBhutanese, we will not know about this massive corruption. We are also proud of Dasho Neten for strong leadership and guiding her team to success. JYT should assume responsibility for leading smear campaign against theBhutanese, ACC and the Bhutanese people. Shame to JYT and AG for supporting corruption. The sentence by any measure is not proportional to the offence committed. Criminals Jigme tshultrium and Minjur Dorji should be in jail for at least couple of years. It is not fair to punish Committee Members because under Driglam Namzha, subordinates cannot disobey superior officer. The dzongdas simply bulldozed and the members were obligated to sign their decision. The case pertained to 2002 and 2005 and the verdict in 2013 i.e. ten years after is a little too late. Declaring the defendants guilty at this juncture solves no purpose. Even the constitution and ACC were not there then. Moreover, the the defendants have served the Govt. for a term as ministers and what they have contributedduring the tenure be considered and forget the past because in the past everyone did the same as the system was then different. If we dig such things, there will be countless scams. We might have to imprison even the dead persons like late Hon,ble Lyonpo Tamshi once KIDU Lyonpo. Just because everybody did will not mitigate the offense committed by criminals Jigme Tshultrium and Minjur Dorji. Former Kidu Lyonpo Tamshi Jagar should be role model when it comes to loyalty, service and patrotism. Gyelposhing case is Human Error, while TOBACCO case is a Godly Error since Bhutan is a CHEDENGI GYELKHAP. THUS PRISON TERM is longer for Tobacco Act violators. Gyelphozhing… 2 and half and 1 year.. Are you kidding me.. While other innocent people accused of corruption are made to suffer for things that did not do or for things that can be considered a tiny spec comparing to this case.. While others are made to suffer, both financially and mentally.. They would have made millions out of of this scam, they have to pay back so little… Infact, it looks like a good business strategy.. 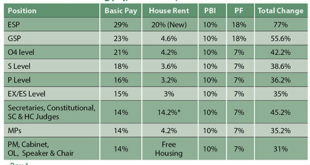 Cheat the country and its people out of millions of Nu., pay back 1% of your earnings and enjoy the rest.. While the innocent ones, to have a sinking feeling for working so hard to serve the government but end up being falsely accused and stabbed in the back. I tell you, the system and the government is so screwed up. Using “Corruption” as a tool to fix those who they do not like and which doesn’t apply to one of their own..
i will pray for the god to send their ( Speaker & Home Minister) death call as early as possible before the democracy fails, corruption overflows the society, inequalities extends further and finally the nation collapse. with Law and every rules and regulations in the country can not do anything for those people who have money and power. i lost my faith in the judiciary though i did not apporoach the court for any case..
would you do the same, if they were your parents…? Where were you when the nation really needed the likes of you…easier said than done…. The accused civil servants would be terminated without benefitis as per rcsc, what about speaker n Home minister, looks like they will get it. Will they be allowed to take prado n wife’s car after retirement. Will they retain their kabney n patang? Will they be still called dasho n lyonpo? Will they have to surrender all the medals n awards they have received? Because patang n kabney n title n medals n cars they got it after gyolpozhing incidents. Will speakers n home ministers too will be terminated before their term? It is not the issue of contesting in 2013 election, the question is whether they will be terminated from their post since they r now declared criminals by court. Or will dpt will take this action or not, suspension is out of question. They might appeal to high court n hold their termination n benefits as per dpt plan. It is A-National-Outcry. It is not Fair. Misuse of Royal-Kasho is a serious crime. We all feel it is not going to end here but it should end. After reading the verdict, the drangpon did not do enough, poor monk in comparison. may be you should take the post of drangpon…. Some guys are very happy at others’ misfortune. All the committee members will have their families, school going kids, old parents to look after and many more. All of them will be terminated. What a state! Look at others as another you, please do not CELEBRATE the Court Verdict.